More than 100 Whitehall press staff could be called upon for UK's largest media event. 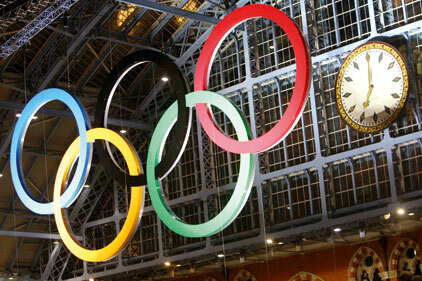 More than 100 press officers from various government departments could be redeployed to man a specialist Olympics press office in 2012. The Department for Culture, Media and Sport is considering proposals to borrow press officers from across Whitehall's understaffed comms units, as it prepares to host the UK's largest media event. PRWeek has learned of a 'concept of operations' document that has been drafted by the Government Olympic Executive - a unit within DCMS developed to co-ordinate the 2012 Games. The draft document suggests that Government media handling during the torch relay and the Games will be managed by drawing in more than 100 Whitehall press officers through the Government's News Co-ordination Centre. They will handle the 24/7 media interest for a maximum of 18 weeks. The centre operates on an ad hoc basis to deal with large-scale national events such as the royal wedding and the Papal visit. Portland managing partner Steve Morris backed the plans. 'There is absolutely no point in dozens of government press officers sitting in their departments trying to push stories on new bus lanes or something when there's only one story in town,' said Morris, a former Whitehall comms chief. A spokeswoman for DCMS confirmed the centre would be staffed by existing Whitehall communicators in 2012, but added that the exact number of staff was yet to be finalised 'as we are still more than a year out from the Games'. The News Co-Ordination Centre will be in place for 18 weeks from mid-May 2012 when the torch arrives in the UK until after the Paralympic closing ceremony in mid-September.